Congrats teosw. This limited piece of Shakers Cafe vintage tee shall be yours for RM 40. Cafe" shirt . becouse i don't think i can wear! u wrote there is free size but is suitable for s/m sizes. so thanks a lot ! 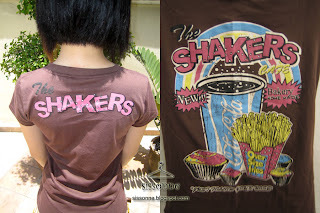 Renee, since you're the 2nd highest bidder, would you want to take this last piece of Shakers Cafe vintage tee for RM 36 ? Let us know if you're interested. I'm re-opening this bid again. We couldn't get the 1st, 2nd and 3rd buyers to agree to buy it at their previous bid price. So now this item is up for grab starting at RM 24. Get it while it last, one and only piece. Congrats Vivian. 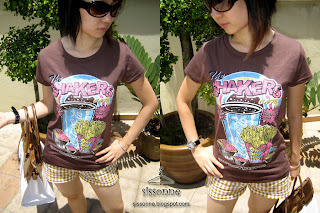 This piece of Shakers Cafe vintage tee shall be yours for RM 24.